If you like YA books with lots of twists and turns you may enjoy T.K. 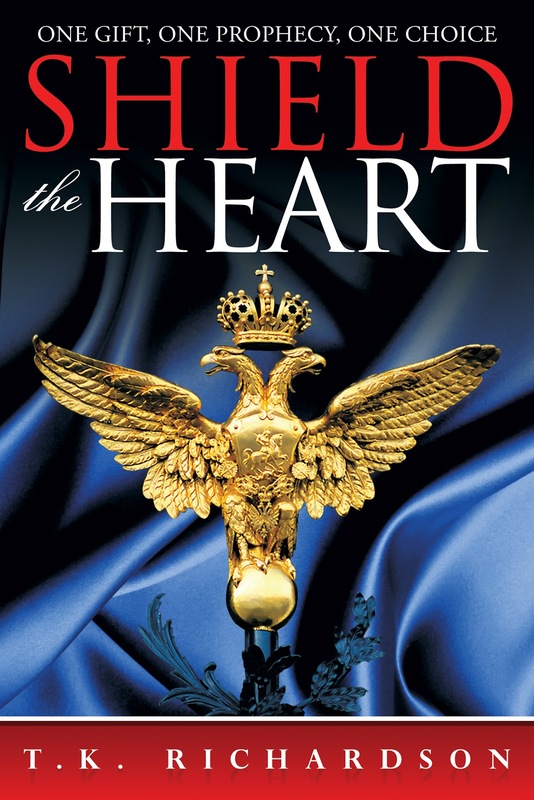 Richardson's new book Shield the Heart. When you mix one girl with a special gift, one ancient Russian prophecy, danger, and a dash of romance you end up with Shield the Heart! I hope you'll check it out. The book is available in paperback and as an ebook. What if the battle was in your heart? Lilly's gift of reading the heart seemed like a curse, but when she discovered her gift was linked to an old, Russian prophecy it changed everything. What she never questioned, though, was her own heart. When the prophecy pulls Lilly back to Russia and demands to be fulfilled she is torn between love and loyalty. She must make the most difficult decision of her life and choose between the two. But Lilly's decision is farther reaching than even she is willing to acknowledge. It stretches from East to West - from the past to the future. Lilly discovers there's more to the old prophecy than she realized and enemy forces are bent on stopping it from unfolding. One thing is certain - there will be casualties. And sparing those closest to her may be impossible. While Seth attempts to shield Lilly from the truth, Nikolai reveals secrets that could change everything. As Lilly falls into the arms of Russia she must decide: will love or loyalty reign? And can she live with the consequences? Two sides compete for Lilly's heart and she must find the answers she needs before her enemies find her. Shield the Heart, by T.K. Richardson, is the riveting second book in the series and takes Lilly deeper into Russia's mysterious past... and her future.